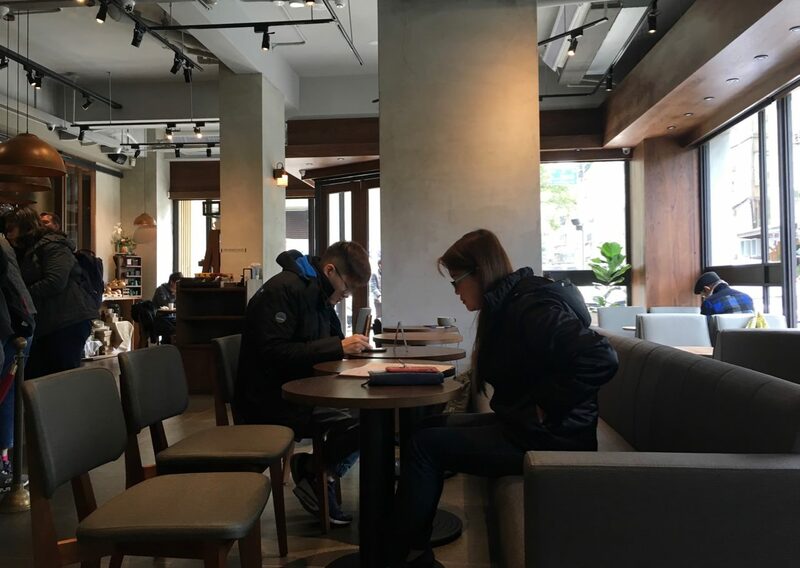 Coppii Lumii Living Coffee (央央生活咖啡店) 是中山區新開幕的輕食咖啡店之一, 位於行天宮捷運站與中山國中捷運站附近. 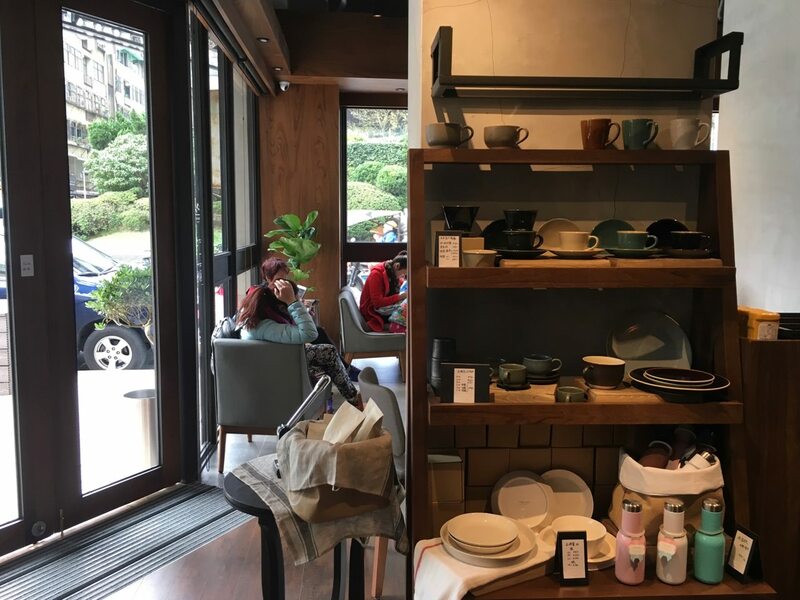 Coppii Lumii Living Coffee is one of the coffee & light food shops at Zhongshan District. 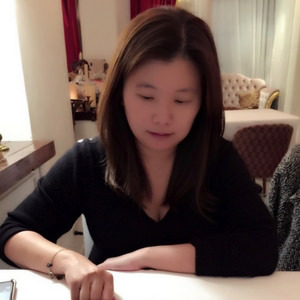 It is located near Xiantian Temple MRT station and Zhongshan Junior High School MRT station. 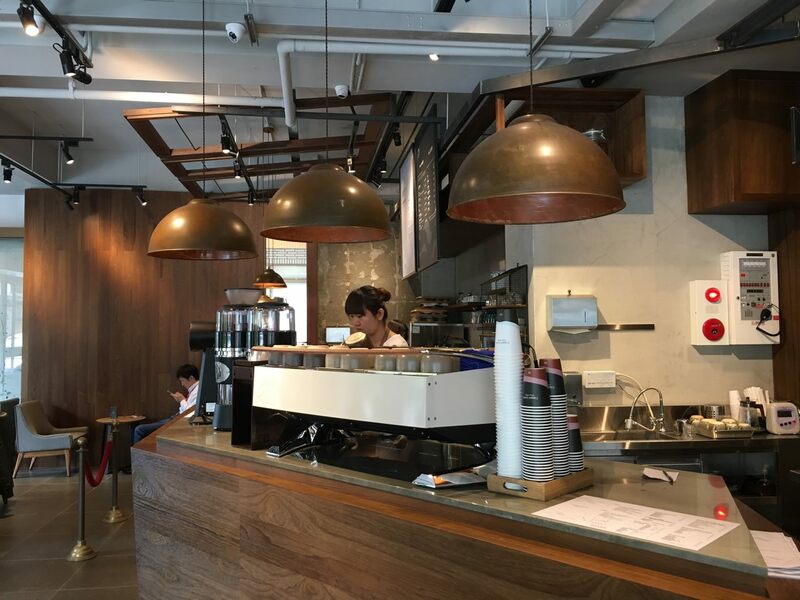 Coppii Lumii Living Coffee (央央生活咖啡店) 在 “La Mole Taipei 義大利餐廳” 附近, 距離不用三分鐘路程, 佔地比 松江南京捷運站 的“Fika Fika Cafe”小, 但採光相當明亮, 整體裝潢中規中矩以木質色調為主, 客人可先將東西放置在選擇的座位上, 再排隊點餐付錢拿號碼牌, 餐具需自行在一旁櫃檯拿取. 店內跟 “The Natural Coffee” 一樣也有販售咖啡豆. 因為是中午用餐時間,咖啡店用餐人數眾多, 一進入咖啡店是聞到肉食料理的味道, 而非香醇咖啡風味. 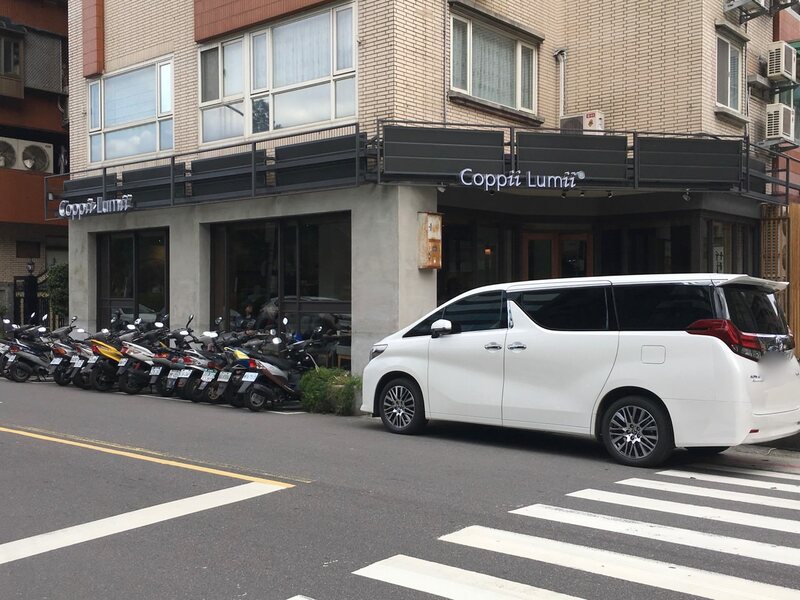 Coppii Lumii Living Coffee is located near “La Mole Taipei Italian Restaurant” by only 3 minutes walking distance. The shop is smaller than “ Fika Fika Cafe” . The main theme color is wooden color. The customer can place their belongings on the selected seat first. Then, the customer can order and pay at the counter. 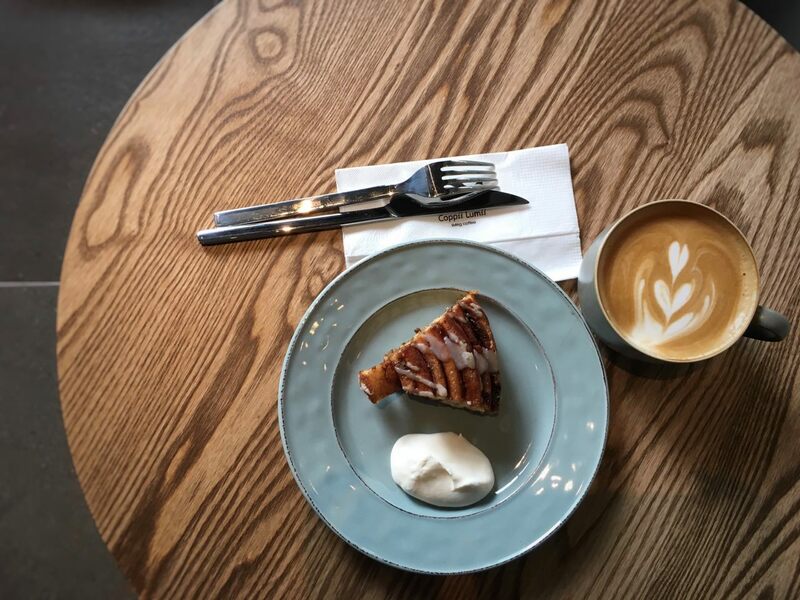 The coffee shop is self-served, which means the customer would need to get the utensil by themselves. The coffee shop also sell coffee bean, just like “The Natural Coffee”. 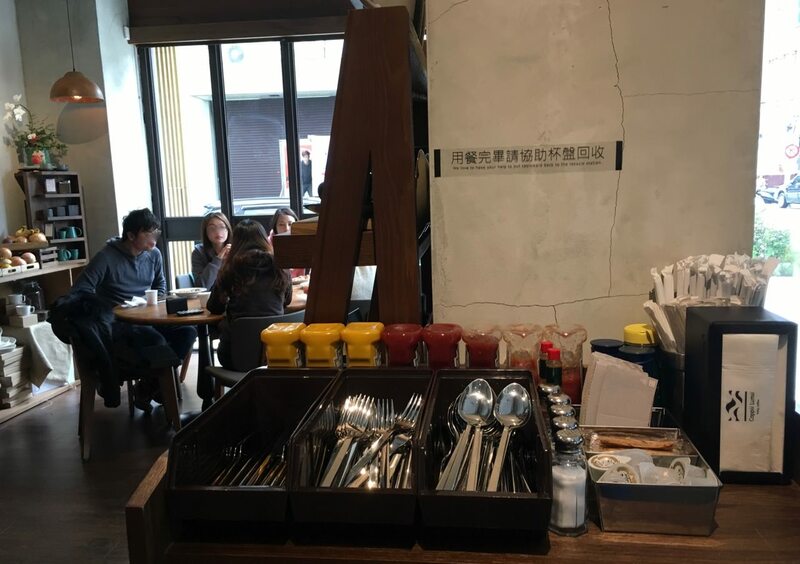 Due to the lunch dining time, the coffee shop is full of meaty aroma instead of coffee aroma. 黑糖肉桂蝸牛卷是八吋蛋糕切八塊的Size, Size 並沒有想像中地大. 一刀切下並沒有酥脆的聲音, 口感並不是我所熟悉的肉桂卷, 反而像磅蛋糕般厚實, 肉桂風味完全被黑糖與奶油風味搶走, 但甜度不會過高, 放置在一旁的現打奶油則是相當細緻但結構紮實, 搭配肉桂卷相當不錯. 相當推薦這款黑糖肉桂蝸牛卷. Their cinnamon roll is a bit smaller than expected. 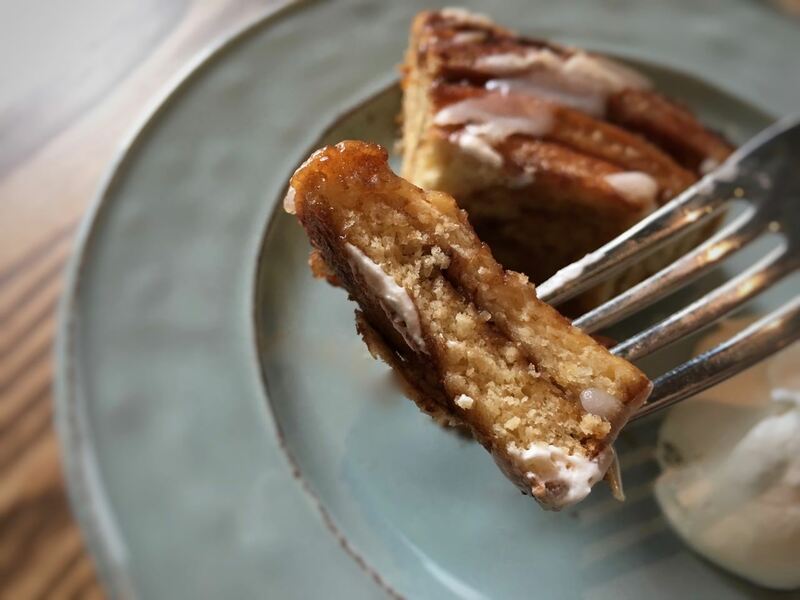 The taste is not crispy, instead, the taste is more like pound cake. The texture is dense and the flavor is buttery. The brown sugar increase the sweet level but with only fair amount. The cream on the side is whipped perfectly, which is creamy and smooth. I am definitely satisfy with this cinnamon roll. 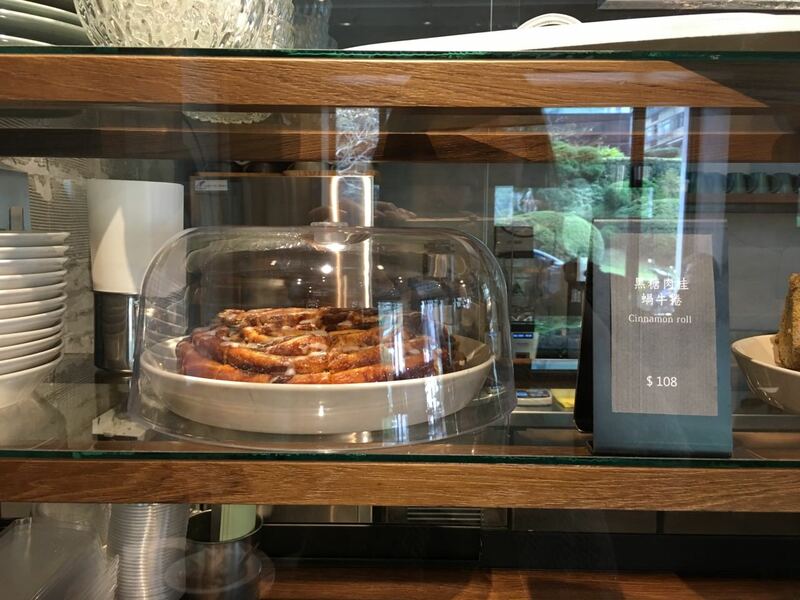 Coppii Lumii Living Coffee 有販售單品咖啡與混合產區的咖啡, 也有深淺培咖啡豆的選擇, 我當天是選擇較單純的混合產區深培拿鐵. 他們的中杯 (Regular) 是 12oz, 大杯 (Large) 是 16oz. 咖啡風味香醇, 也不會過酸或過苦, 單純拿鐵搭配黑糖肉桂蝸牛卷相當適合. Coppii Lumii Living Coffee has both single and blend origin coffee beans. It also has dark roasted and light roasted coffee bean option. I chose to have the simply blend origins dark roasted Latte. Their regular cup size is 12oz, and the large cup size is 16oz. 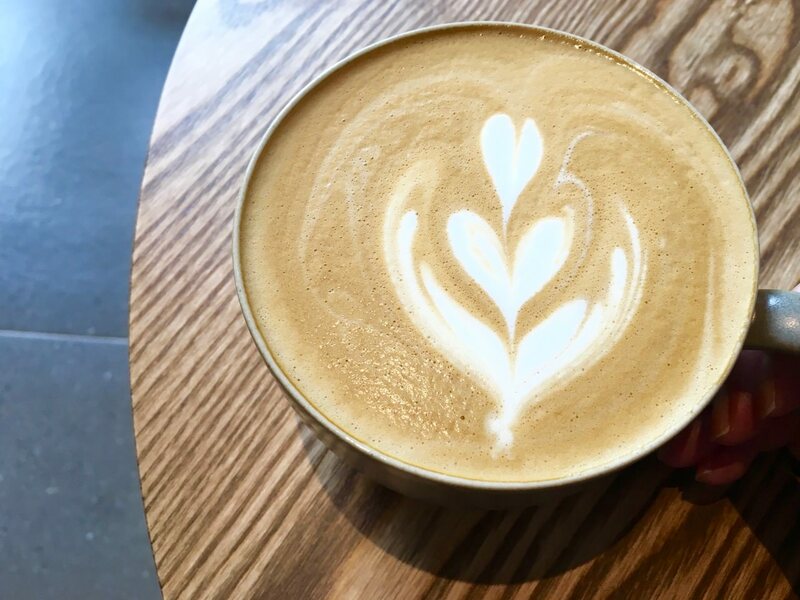 The nose sensed strong latte aroma impact when the taste is not overly bitter nor high acidity. 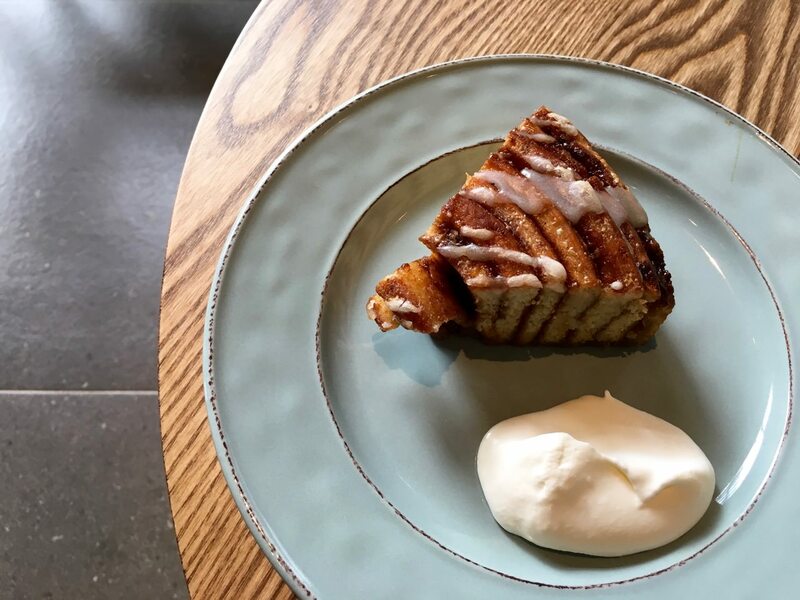 It is a simple latte to pair with the cinnamon roll.